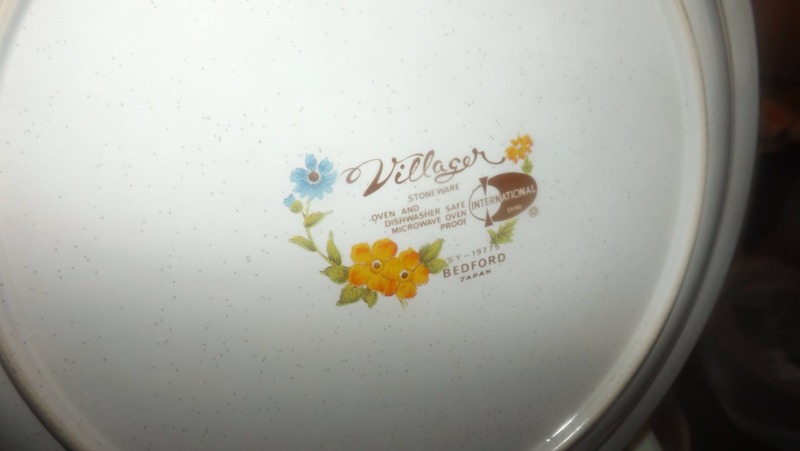 Vintage (1970s) International China | Villager Japan Bedford SY-19775 pattern chop plate | round platter. Yellow, blue, orange flowers. 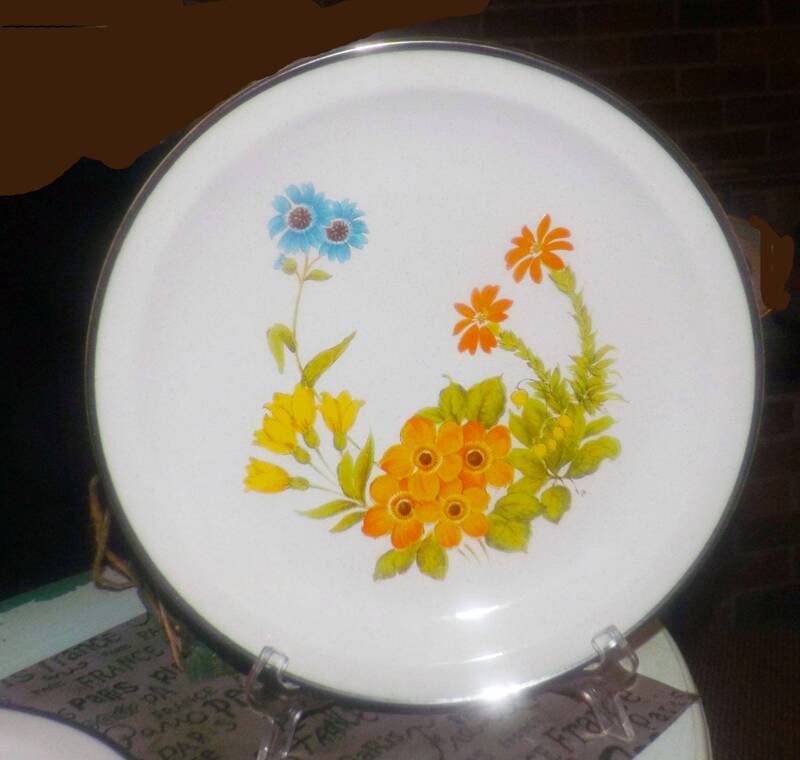 Vintage (1970s) International China | Villager Japan Stoneware Bedford pattern SY-19775 chop plate | round platter. 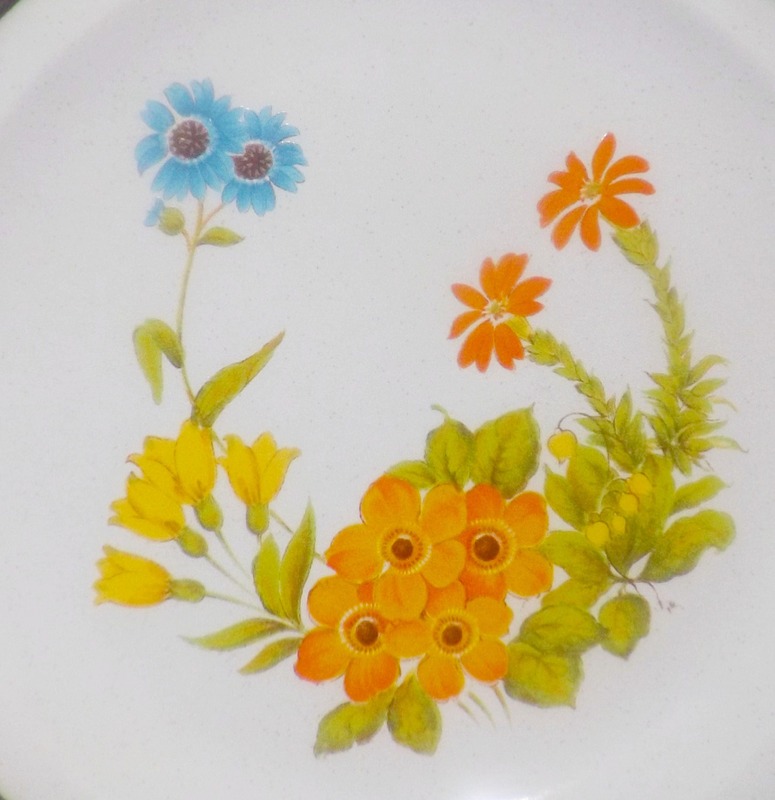 Yellow, blue and orange flowers on a tan ground with a brown edge. In EXCELLENT! and seemingly unused condition with NO! chips, nicks, cracks or fleabites, NO! crazing and NO! marks, stains, scratches or other signs of use or wear. 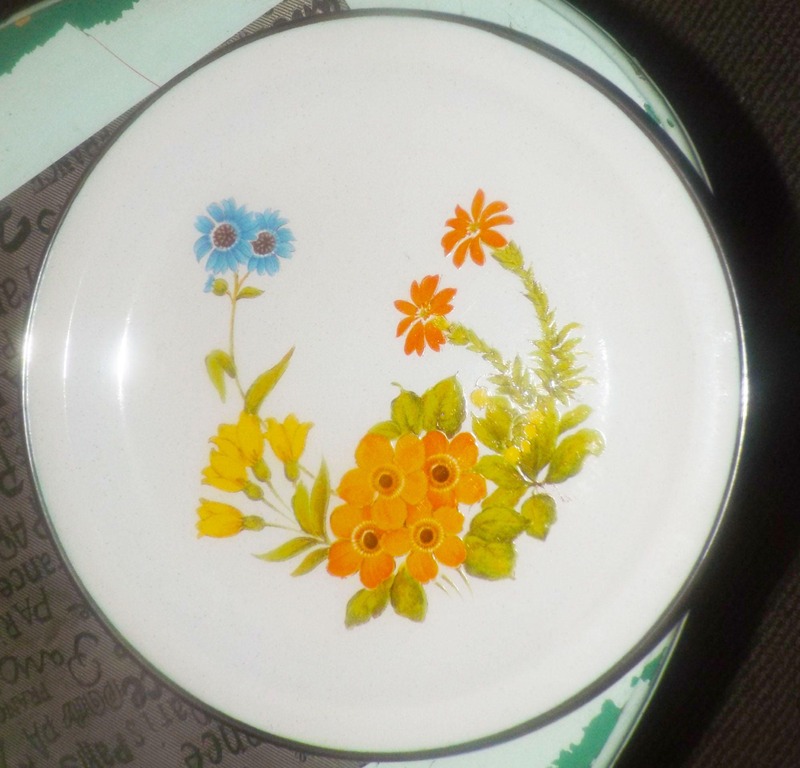 The florals, greenery and brown border band are bright and vivid with NO! fading apparent. 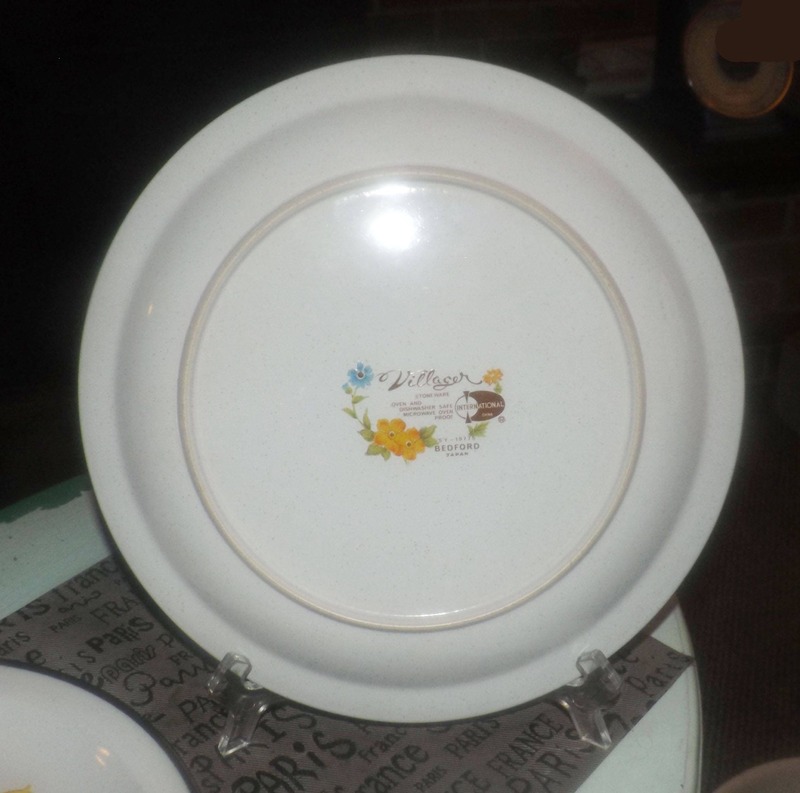 Approximate measurements: 12" in diameter (measured edge to edge) with a brown border band and rim. THIS LISTING IS FOR ONE (1) ROUND PLATTER. Currently, more than one is available in the shop.